RESETTABLE BICYCLE LOCK TY462 20MM X 1MTR is rated 4.0 out of 5 by 1. 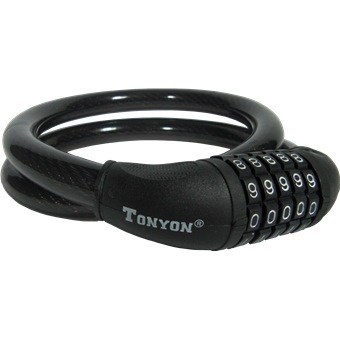 Rated 4 out of 5 by thomasyee68 from Portable and functional lock and cable combo i used this as a bicycle lock. the lock is sturdy and can be coiled for portability. with the convenience of the combination numbered locking mechanism, thus no more worries of , example, misplaced or lost key.